← Watch Your Mailbox !!!! With the growing popularity of Bushel Gourds we are introducing a contest this year exclusively for the club members. This contest will be for the heaviest bushel gourd grown from Nieuwenhoff 104 seed which you will find in your seed packet. As bushel gourds are not yet a GPC recognized vegetable there are a couple rules to follow: If possible please have your entry weighed at a recognized event that has a certified scale, in the fall we will be asking for your contest submissions and we would ask that you have a picture of the grower and fruit with your entry. 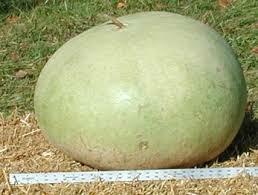 The prize will be $250 to the grower of the heaviest bushel gourd and be awarded at the Christmas Social.